On 23 June, 2012, in an interview for the popular American radio show, Coast to Coast AM, the CIA’s former liaison to the entertainment industry, Charles ‘Chase’ Brandon made extraordinary claims about the so-called “Roswell incident,” in which the US military is widely believed to have retrieved extraterrestrial materials and bodies after a mysterious object crashed in the deserts of New Mexico. Most explosively, Brandon recounted an occasion when he saw direct proof of the alien nature of Roswell while conducting research at the CIA’s Historical Intelligence Collection (HIC) as part of his role as CIA Entertainment Liaison Officer (ELO). Brandon claimed he had the rare opportunity to look inside a box labelled “Roswell” containing “materials... papers... [and] other items” but stressed that he “cannot, will not, under any imaginable set of circumstances tell you what I saw in there specifically,” with the implication being that to reveal more specific details would be a breach of national security. 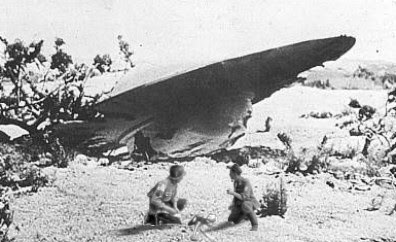 The “Roswell Incident” first came to public attention 65 years ago on 8 July, 1947, when the Roswell Army Air Force (RAAF) hastily announced to the press its “capture” of a downed “flying saucer” on an isolated ranch. A few hours later, the RAAF changed its story to the effect that what had been recovered, in fact, was a common weather balloon. The United States Air Force (USAF) was to change this story again in 1995 with the announcement that the “weather balloon” had been a Top Secret high-altitude spy balloon. This story was then officially re-written in 1997 to account for several apparently non-human bodies multiple eyewitnesses claimed were recovered from the crash. The bodies, the USAF equivocated, were human corpses, test dummies, or both. To date, Brandon is the most senior CIA officer – former or serving – to have claimed direct knowledge of an extraterrestrial link to the Roswell incident. 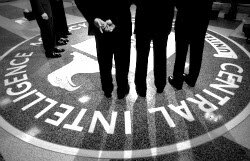 Brandon worked for the CIA for thirty-five years, twenty-five of which he spent in the Agency’s elite Clandestine Service as an undercover, covert operations officer. His foreign assignments involved international terrorism, counterinsurgency, global narcotics trafficking and weapons smuggling. He was also an Agency foreign political affairs analyst, Presidential briefer to Bill Clinton and an instructor in paramilitary and espionage tactics at secret CIA training camps. In 1996, Brandon began his ELO role in which he advised on numerous films and TV series – often uncredited – quietly shaping scripts, characters and concepts. In other words, he is an expert at working both the news and popular media. It fits, then, that Brandon was speaking in the context of a promotional interview for his new fictional UFO-themed book, The Cryptos Conundrum. Judging from online chatter, the UFO community is wondering if Brandon’s Roswell comments may herald the much anticipated ‘Disclosure’ of alien reality. Brandon’s book passed through the Agency’s Publications Review Board (PRB), and his radio interview should, as standard procedure, have also been subject to prior approval by the PRB. If Brandon’s comments were subject to official approval, and if he was speaking the truth, then this might indicate that the CIA is using him to work what the Agency calls a ‘limited hangout,’ whereby previously hidden information is released to the public in order to prevent a greater exposure of more damaging details. In this context, it is noteworthy that Brandon carefully absolved the CIA of any on-going complicity in an active cover-up of the Roswell incident. Brandon implied that all that now keeps this information from the public is 65 years’ worth of storage dust and the patchy institutional memory of the powers that be. As Brandon tells it, the Roswell incident is as dead as the alien cadavers he claims must be stored “somewhere.” Yes, Roswell was real and extraterrestrial, says Brandon, and yes, the evidence was “put in cold storage,” but today’s Agency should not be held accountable for the actions of a handful of panicked and perplexed Cold War-era agents who shuffled off their mortal coils decades ago and who took what little knowledge they had to their graves. And those Agency employees who do occasionally stumble across Roswell evidence today have no real understanding of what they’re looking at or what to do with it. In terms of a revelation about the existence of aliens, Brandon’s rendering is about as depoliticized as it gets. Fittingly, in 1979, Marchetti himself raised eyebrows with his own public statements on the UFO issue. In an article for Second Look magazine, Marchetti wrote: “I do know that the CIA and the US government have been concerned over the UFO phenomenon for many years and that their attempts, both past and recent, to discount the significance of the phenomenon and to explain away the apparent lack of official interest in it have all the earmarks of a classic intelligence cover-up.” He added, “My theory is that we have, indeed, been contacted – perhaps even visited – by extraterrestrial beings, and that the U.S. Government, in collusion with other national powers of the Earth, is determined to keep this information from the general public.” However, Marchetti was merely voicing an opinion and does not claim to have seen proof of extraterrestrial contact with his own eyes, as Brandon does. Not insignificantly, Brandon also claimed during his interview to have spoken to JFK’s coroner, who he says confirmed to him that the President had been shot from the front and was therefore most definitely the victim of a conspiracy. Of course, Brandon’s own personal ‘disclosures’ may prove an effective way to sell copies of his book, and also to whet appetites for his forthcoming sequel, The Hour Glass. This is certainly the more mainstream interpretation of what has transpired here. Still, such a deceitful and outlandish marketing strategy runs the risk of Brandon appearing to be, well, deceitful and outlandish. For a man currently employed as Senior Consultant to SpecTal, the intelligence division of defence giant BAE Systems, Brandon’s Roswell declarations are liable at least to raise difficult questions among colleagues. Furthermore, in the unlikely event that any costs result from Brandon’s statements, such as if they prompt someone to steal material from the HIC, he could at least be sued by the government. A former high-level Reagan Administration official told us that “if” extraterrestrial material was in the possession of the US government, it would of course be classified, while another highly-respected ex-CIA Special Operations officer stressed to us that “All [CIA] employees sign a Secrecy Agreement. Violation of that agreement can bring severe repercussions.” When we made doubly clear to this CIA veteran that our enquiry related specifically to the UFO issue, he restated his position word-for-word, with the addendum “Have a nice day.” In theory, the penalties include life in jail or even a death sentence. As yet, however, Brandon has fallen artfully through the cracks in the national security system. Even though in practice the government is clearly sensitive about the UFO phenomenon (with reams of declassified documentation from every branch of the government revealing high-level concern about UFO incidents worldwide into the post-Cold War era), it has maintained since the closure of the USAF’s Project Blue Book in 1969 that UFOs are definitely not a national security concern. Furthermore, the very concept of ‘national security’ is more slippery than is often suggested by the image of square-jawed, be-suited men with guns. Former Chairman of the PRB, John Hollister Hedley, commented recently that even the CIA’s own definition of national security was not “hard and fast” or “absolute or constant.” Consequently, whether there is any truth to Brandon’s statements or not, Washington would be hard-pressed to prosecute, even if it had the will to do so. We asked Chase Brandon to elaborate on and justify his Roswell comments. He has yet to reply. We also sent the CIA a list of questions and requested a formal response to Brandon’s allegations. The Agency has assured us they are looking into our enquiry and will get back to us “quickly.” We are still waiting. Robbie Graham is a doctoral candidate at the University of Bristol for a PhD examining Hollywood’s historical representations of UFOs and potential extraterrestrial life. 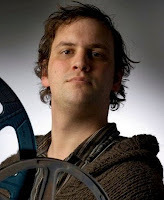 He holds a Masters degree with Distinction in Cinema Studies from the University of Bristol and a First Class Honours degree in Film, Television and Radio Studies from Staffordshire University. He has broadcast on BBC Radio, Radio Ireland and Canal+ TV. His articles have appeared in a variety of publications including The Guardian, New Statesman, Filmfax, Fortean Times, Adbusters and the peer-reviewed journal of North American Studies, 49th Parallel. Matthew Alford, PhD is the author of Reel Power: Hollywood Cinema and American Supremacy (Pluto Press, 2010). His academic and journalistic work focuses on the relationship between entertainment, political power, and propaganda in the United States. His academic work has appeared in a number of peer-reviewed journals, including Scope: An Online Journal of Film and TV Studies, Westminster Papers for Communication and Culture, and 49th Parallel. He has been interviewed as an expert on Hollywood propaganda for publications and broadcasters including Vanity Fair, Media Lens, Z-Net, Russia Today, Press TV and Al Jazeera, among others. Regardless of the exact nature of the UFO phenomenon, it is a great shame for those of us interested in either UFOs or government propaganda that Chase Brandon's statements have been unchallenged and, indeed, unreported outside of the UFO community and that the CIA itself has yet to respond to them, despite our enquiries. Brandon’s statements beg explanation for several reasons, not least because they indicate that the concerns of the powerful are very distant from those of ordinary citizens in a participatory democracy.